The 2004 girls (u15) coached by Daniel Price claimed their second, and the club's 4th National Championship at IMG Academy, Florida. Congratulations to Head Coach & Director of Coaching Daniel Price, Team and all this fantastic group of young ladies that worked so hard over the past 3 years in this program. 2-Time National Champions! 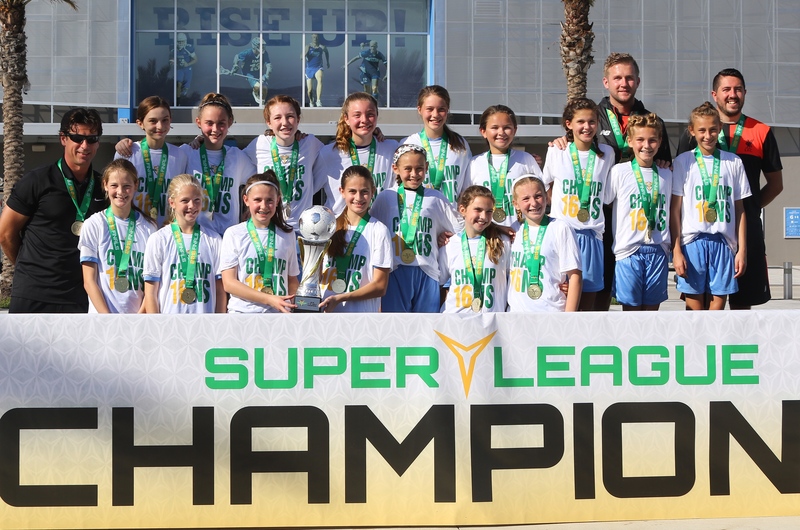 The 2004 girls (u12) coached by Lee Hudson overcame elite competition to claim their first, and the club's 3rd National Championship at IMG Academy, Florida. Congratulations to Head Coach Lee Hudson, Director of Coaching Daniel Price, Team Manager Travis Roy, and all the wonderful young ladies that worked so hard for this accomplishment. The u17 boys coached by Daniel Price went undefeated at National Finals to claim their first, and the club's 2nd National Championship at IMG Academy, Florida. Congratulations to Head Coach & Director of Coaching Daniel Price, and coaches Simon Omekanda, and Colby Cunningham for their assistance. The u20 boys coached by Chris Edwards lifted the club's first National Championship at IMG Academy, Florida. Congratulations to Head Coach Chris Edwards and Director of Coaching Daniel Price for this historic achievement.